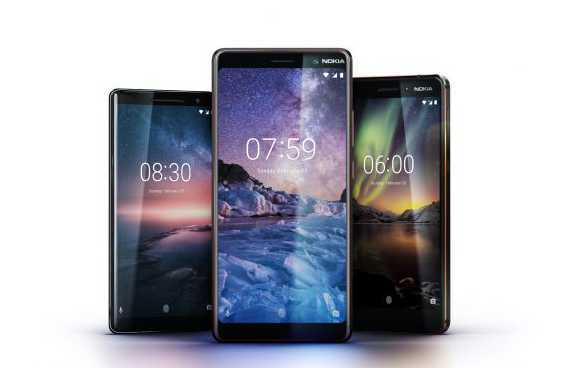 HMD Global, which sells Nokia brand of phones, has launched three new smartphones- the Nokia 7 Plus, Nokia 6 2018 and Nokia 8 Sirocco for the Indian market. The phones were announced in February 2018 at MWC event at Barcelona, Spain and some have already gone on sale in other countries. Company recently launched Nokia 1 smartphone in India and with the launch of three new smartphones, the company hopes to gain some traction in the highly competitive smartphone market in India. One can say Nokia is back at what it used to do well- Connecting People! The pocket-friendly Nokia 6 (2018) will be the cheapest of all three phones priced at Rs. 16,999. It will come in three colour options- Black/Copper, White/Iron and Blue/Gold. It will go on sale from April 6 in Nokia Shop as well as other leading retailers. Airtel is offering cashback of Rs. 2,000 on purchase of the phone under the Mera Pehla Smartphone initiative. Airtel subscribers will also get extended Airtel TV subscription along with the handset. There are some additional launch offers such as discount on MakeMyTrip hotel bookings, complimentary 12-month accidental damage insurance, No-cost EMI and cashback if you purchase the phone using Bajaj Finserv and ICICI Bank cards. The mid-range Nokia 7 Plus will be available in single memory variant i.e. 4GB RAM + 64GB Internal Storage and will be priced at Rs. 25,999. It will have two colour options- Black/Copper and White/Copper. It will be available for pre-booking from April 20 on the Nokia Shop as well as Amazon.in along with select retail outlets offline. Airtel cashback offer of Rs. 2000 and extended Airtel TV app subscription is applicable on this device as well. There’s additional 5% cashback for ICICI Bank customers along with no-cost EMI option. The high-end Nokia 8 Sirocco, is a high range smartphone that comes with a premium price tag of Rs. 49,999. It will be available in single Black colour. The pre-bookings for the phone will start on April 20 at leading offline retailers like Croma, Reliance Digital and more. It will also be available online for pre-booking on Flipkart.com and the Nokia Shop. It will hit the shelves on April 30. Airtel customers buying the Nokia 8 Sirocco will be able to enjoy an additional data benefit of 120GB. Other launch offers include- 5% cashback for ICICI Bank customers along with no-cost EMI and discount on MakeMyTrip hotel bookings. 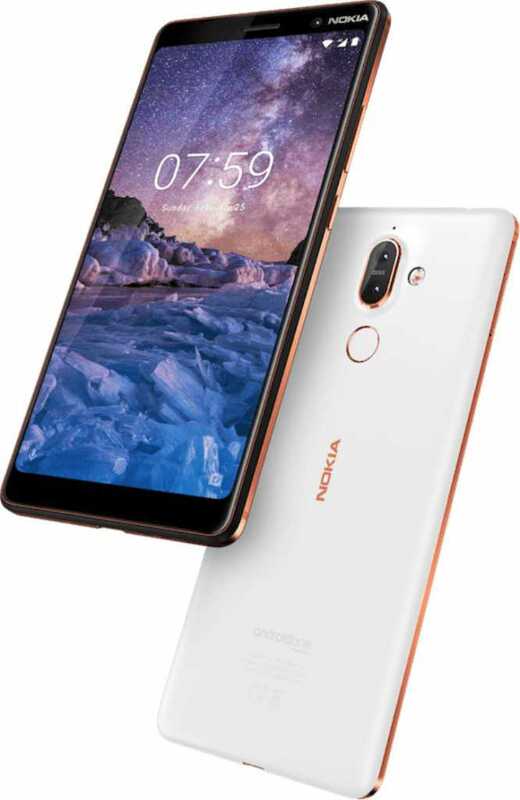 The Nokia 6 (2018) sports a 5.5-inch full-HD (1080×1920 pixels) IPS display covered with Gorilla Glass 5 for protection against scratches. The device is powered by the octa-core Qualcomm Snapdragon 630 SoC coupled with 4GB RAM. The internal storage capacity of the device is 32GB which can be expanded up to 128GB via microSD card. The company will not be launching the 6GB variant in India for now. In terms of optics, there’s a 16MP rear camera with f/2.0 aperture, dual-tone LED flash and Zeiss optics. The front of the device sport an 8MP fixed focus camera selfie sensor with an f/2.0 aperture. The rear of the device also hosts a fingerprint sensor for added security. All of this is backed by 3000mAh battery with fast charging support that promises to deliver up to 16 hours of talk time and up to 507 hours of standby time. The device will be shipped with Android 8.0 Oreo OS out-of-the-box. The Nokia 7 Plus sports the biggest display among the three with a 6-inch full HD+ (1080×2160 pixels) IPS display with aspect ratio of 18:9 and Corning Gorilla Glass protection on top. The device will be powered by an octa-core Qualcomm Snapdragon 660 SoC along with 4GB RAM. The internal storage capacity of the device is 64GB which can be expanded up to 256GB via microSD card. There’s a dual rear camera (12MP with an f/1.75 aperture and 1.4-micron pixels + 13MP with an f/2.6 aperture, 1-micron pixels) with a dual-tone LED flash and Zeiss optics. The rear also hosts a fingerprint sensor. The front sports a 16MP fixed focus sensor for selfies with an f/2.0 aperture, 1-micron pixels and Zeiss optics. The phone is equipped with 3800mAh battery with fast charging. It runs Android 8.0 Oreo out-of-the-box. 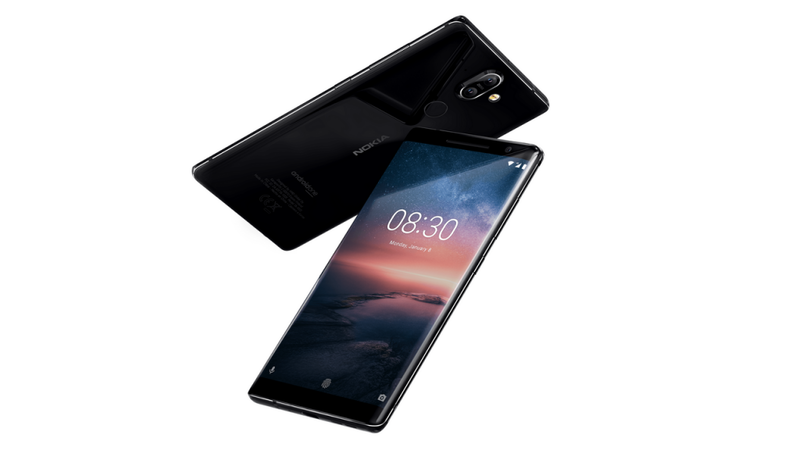 Nokia 8 Sirocco features a 5.5-inch pOLED display with 1440 x 2560 Quad HD resolution and is protected by a layer of Corning Gorilla Glass 5 on top. It is powered by Qualcomm Snapdragon 835 (same chipset that powers Nokia 8) coupled with 6GB RAM and 128GB ROM. That’s surprising as almost all other recently launched flagships of other brands are shipped with Snapdragon 845 SoC. The phone features a dual rear camera setup (12MP with f/1.7 aperture + 13MP with f/2.6 aperture) along with dual tone flash. There’s also a fingerprint sensor mounted on the back. The front hosts a 5MP selfie camera with fixed focus lens and f/2.0 aperture. All of this is fueled by a 3260mAh battery with wired fast charging and Qi wireless charging support. The phone will ship with Android 8.0 Oreo OS out-of-the-box.